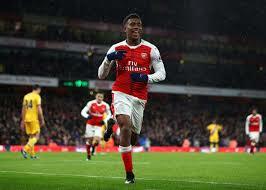 Alex Iwobi will not be attending the Glo CAF Awards which is slated to hold on Thursday, January 5, 2017 in Abuja. This decision to make him stay back was made by Arsenal who feel he has vital duties to perform at the club. This will make him absent at the event where he has been nominated to contest in the Young Player of the Year category alongside Eric Ayiah (Ghana) and Franck Kessie (Cote d’Ivoire). I do not think preventing him from travelling down to Africa is necessary. After all, he isn't coming over to stay for too long. What's your take on this?